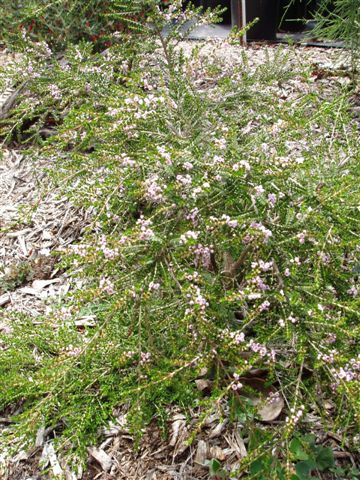 Attractive low growing shrub with profuse small pink flowers and fine foliage most of the year. Excellent cut flower. Grows well in full sun or partial shade. Tolerant of moderate frosts and dry situations. Will take summer watering in California. Fast growing. Great container plant.